The city of Marshallville in Macon County is mourning the loss of their mayor. 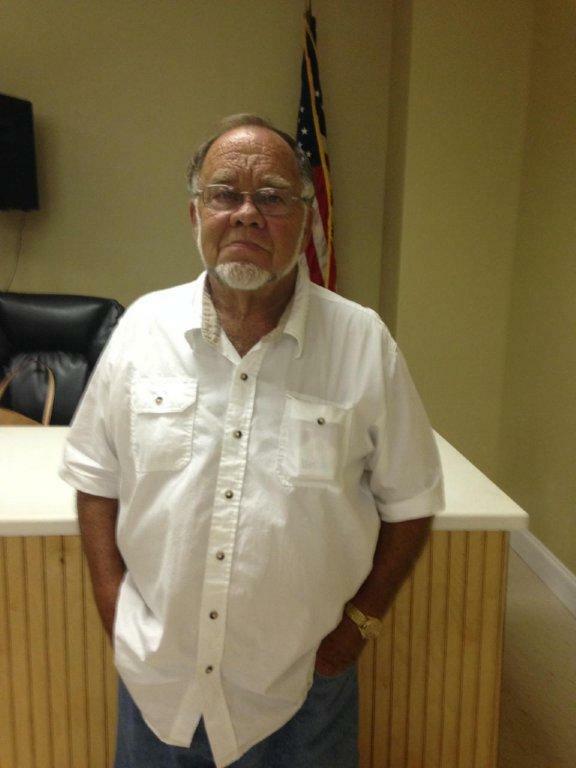 Macon County Deputy Coroner Kenny Welch said Mayor Bill Massee died Tuesday morning. So far, no word on the cause of death. The head coach of a Macon County football team was arrested for drug possession last week. An incident report states Copeland was charged with possession of schedule I & II drugs, an open container violation, weaving and failure to maintain a lane and drugs not kept in the original container. Wynn was charged with possession of a schedule II drug, possession of schedule VI drug, possession of dangerous drugs and drugs not kept in a original container. People in Dooly County hope that their economy will be growing along with their trees. A company called Ensyn plans to add 138 jobs to their new biofuel plant. It will be built on a piece of property that has been in use for more than 30 years called the Roseburg Forest Products, which made particle board. But starting in June, Ensyn will start tearing down part of that plant down and constructing the new biofuel factory. It's expected to be finished in January 2017. Terrell Hudson, the Dooly County Commission Chairman, says the project is a big deal for the rural county. "The investment for Dooly County is significant. With a county with under a $300 million tax digest and a $100 million investment is a major investment for us, and we're proud to have that." Gov. Nathan Deal expanded the state of emergency to include Macon, Gordon, Towns, and Wilkes counties. The areas are suffering from widespread flooding. He also extended emergencies issued last week for Fannin, Gilmer and Pickens counties, according to a news release from the governor's office. The Macon County Board of Commissioners have declared a state of emergency for the county due to heavy rain with the possibility of potential flooding. A biofuel plant is coming to Dooly County. U.S. Secretary of Agriculture Tom Vilsack made the announcement Thursday. A news release states the company, Ensyn Georgia Biorefinery, will be bringing approximately 138 jobs to the county. A lot of the jobs, the release states, requires specialized skills. The plant will produce 20 million gallons of renewable fuel per year. Ensyn, the release states, will convert 440 dry tons of woody biomass into a renewable fuel oil product. The oil will be used as a heating oil replacement and as a renewable feed stock of diesel and gasoline production at refineries. "We welcome these high skilled jobs," Dooly County Commission Chairman Terrell Hudson said in a statement. "It will really be a boost to our area." Dooly County received its accreditation in April, but we've learned a national accreditation agency will keep watch over the district anyway. Julie Harrelson, the county's school superintendent plans to move the district forward, and she discussed that plan Tuesday. "This is the validation of the needs that I saw and so then we started moving forward," Harrelson said. She has been Dooly County Superintendent since January and is talking about the recommendations from AdvancED. That agency gave them accreditation, but the group still has some concerns. "We are accredited we do have the AdvancED accreditation," Harrelson said. There are conditions though, and a time period in which to measure up.